Bradley joined the company in an official capacity just about a year ago, but had been working with Alec on the blend far before being in the offices. Alec & Bradley is an offshoot of the Alec Bradley Cigar Co. Alec and Bradley Rubin have full control over their brand and blends. The vision for the Alec & Bradley brand is to create lines not normally seen in the Alec Bradley Cigar Co. portfolio. Their mission is to have the creative freedom to put out products that represent them. They have decided that there will be no guidelines for the brand, with a goal of bringing ‘disruptive’ products to market. 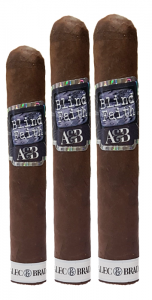 The ‘Blind Faith’ blend features a silky smooth wrapper from Alec Bradley’s proprietary farm in Trojes, Honduras. Three different fillers from Esteli are held together by a double binder combination from Honduras and Nicaragua. Unlike the Alec Bradley tradition of blending for flavor first and strength levels later- Alec and Bradley focused on taking bolder tobaccos and blending them for strength with great flavor and balance. 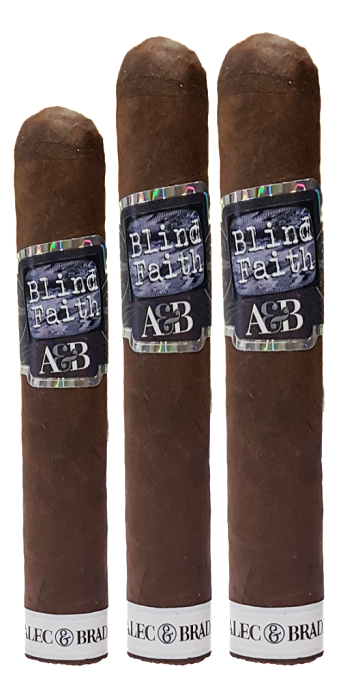 ‘Blind Faith’ is rolled at the critically acclaimed Raices Cubanas Factory in Danli, Honduras. At this time, production is limited to a handful of rollers, but is expected to grow. Initially shown at IPCPR 2018, the first production run is completely sold out and there is a waiting list of Tobacconists for future production. 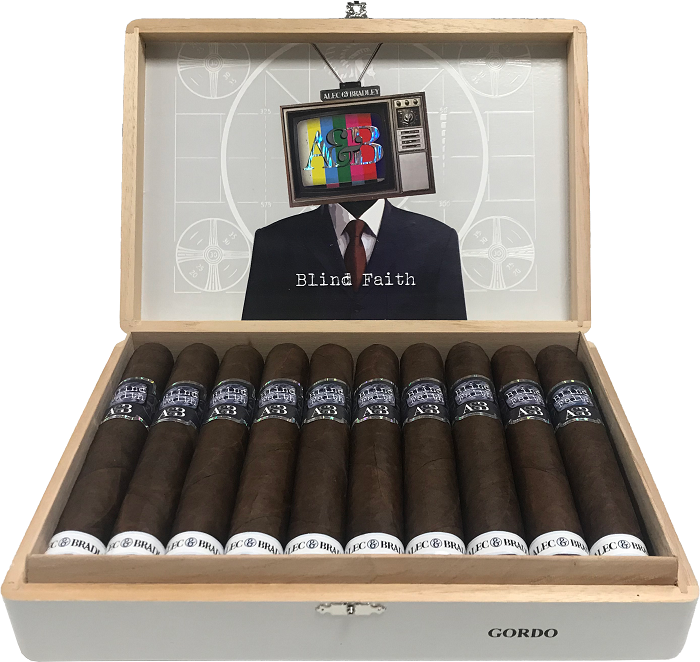 ‘Blind Faith’ is presented in 20-count boxes and is available in three sizes:5″ X 52 Ring, Robusto (MSRP: $8.95), 6″ X 52 Ring, Toro (MSRP: $10.00) and 6″ X 60 Ring, Gordo (MSRP: $10.95). All MSRP’s are US, per cigar, before any applicable taxes. Alec and Bradley are currently working on their next Alec & Bradley release for early 2019.